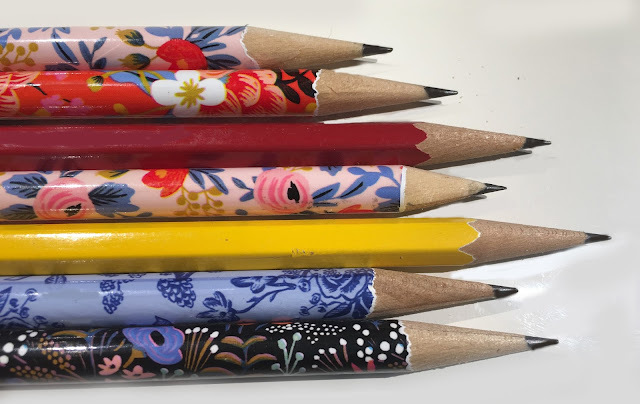 As we go along in our busy days, don't forget to notice the little things. 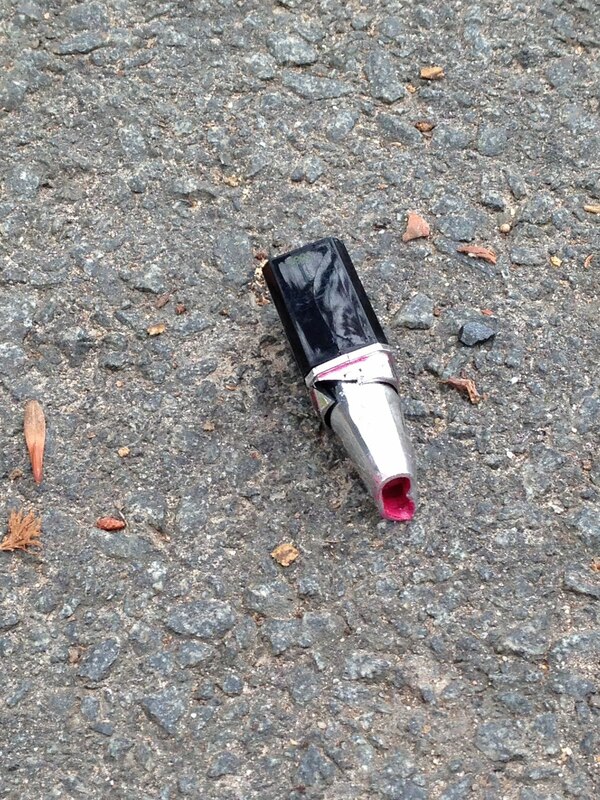 I found this lost tube of lipstick inspiring. First of all, what color is it? Poppy Pink? Amaryllis Rose? 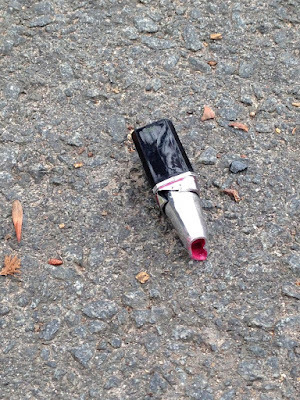 Second of all, did the person who owned it know that the tube slipped out of her purse and then panic when the meal was over and she didn't have her lipstick? Also, what happened to the tube that it is crushed on one side? And where is the top? I challenge you to find it.